P&A Kyriakou Diabetes Center is a large diabetes center with 2000 visits per year from children and adolescents with diabetes and obesity. It has been certified as “European Center of Reference for Pediatric Diabetes” since 2011 and is part of the SWEET e.V. The center is part of the A’ Department of Paediatrics and is staffed by 3 physicians , 3 nurses and one dietician. The outpatient clinic runs 3 days per week. Patients have access to health services 24 hours per day. Referrals to the psychiatric department, to psychologists and social workers are also available. Furthermore, the centre is connected to patient’s associations. ATHENS COLLABORATIVE CENTRE : Out-patient Clinic for the Prevention and Management of Overweight and Obesity, Division of Endocrinology, Metabolism and Diabetes, First Department of Pediatrics National and Kapodistrian University of Athens Medical School “Aghia Sophia” Children’s Hospital, Athens, Greece. The clinic is staffed by 4 pediatricians, one dietician, one exercise trainer, one psychologist, and one nurse. Scientific supervisor: Evaggelia Charmandari Professor of Pediatric and Adolescent Endocrinology National and Kapodistrian University of Athens Medical School, Aghia Sophia Children’s Hospital. 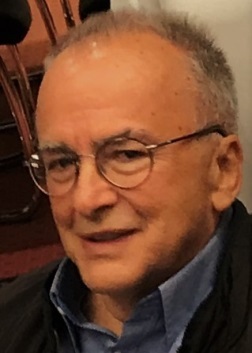 Director of the First Department of Pediatrics: Professor George Chroussos. Andriani Gerasimidi-Vazeou MD phD is a paediatrician and pediatric diabetologist. She graduated from the University of Athens Medical School and had her training in Pediatrics at the A’ Department of Pediatrics, University of Athens. She worked as a fellow in Endocrinology at St Louis Children’s Hospital, Department of Endocrinology and Metabolism, under C. Sandiago and as postdoctoral research fellow in diabetes on the field of islet transplantation at the Department of Pathology, Washington University, School of Medicine, St Louis Missouri, USA under Professor P.E. Lacy with a NATO scholarship. 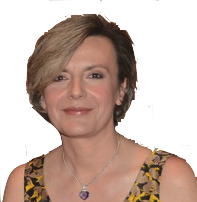 Her current position is director of the Diabetes Centre of the A’ Department of Paediatrics of P&A Kyriakou Children’s Hospital in Athens, Greece where she has been working for the last 20 years. She has participated to different multicenter studies and has rich research activity. She is the author of several papers in peer review journals, book chapters and a book on nutrition for patients with diabetes and health care professionals. She is reviewer to Pediatric Diabetes. She has participated to the authorship of guidelines for type 1 and type 2 diabetes in children issued by the “Hellenic Diabetes Association” and for hypertension in children issued by the “Hellenic Association for Hypertension”. She has been former member and treasurer of the board of the “Hellenic Medical Association of Obesity”, former secretary of the ECOG (European Study Group of Childhood obesity) and former member and treasurer of the board of the Hellenic Diabetes Association. Dimitrios E. Delis MD, PhD has been born in 1953. He graduated from Athens’ University – Medical Scool and specialised in Paediatrics and Paediatric Diabetes. His current position is Director in First Paediatric Department and Diabetic Center of A. & P Kyriakou Childrens Hospital of Athens. He is experienced as trainer in educational Paediatrics specialty and Paediatric Diabetes and as a researcher in clinical projects of diabetes and other therapeutic areas. He has participated as Speaker/Lecturer in many conferences and congresses. He is author in scientific publications and reviewer in area of expertise Pediatrics and Paediatric Diabetes’ Medical Journals. Dr. Maria Xatzipsalti graduated from the Medical school of the National and Kapodistrian University of Athens in 1998. She undertook a Fellowship in Immunology at University of Southampton (UK) (2005-2006). 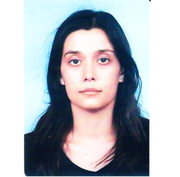 She completed her Phd thesis in 2006 from the Medical School of the University of Athens. In 2009 she completed her specialty training in General Paediatrics in “P. & A. Kyriakou” Children’s Hospital, Athens, Greece. In 2008 she undertook a fellowship in Paediatric Endocrinology in Karolinska University Hospital, Stockholm. 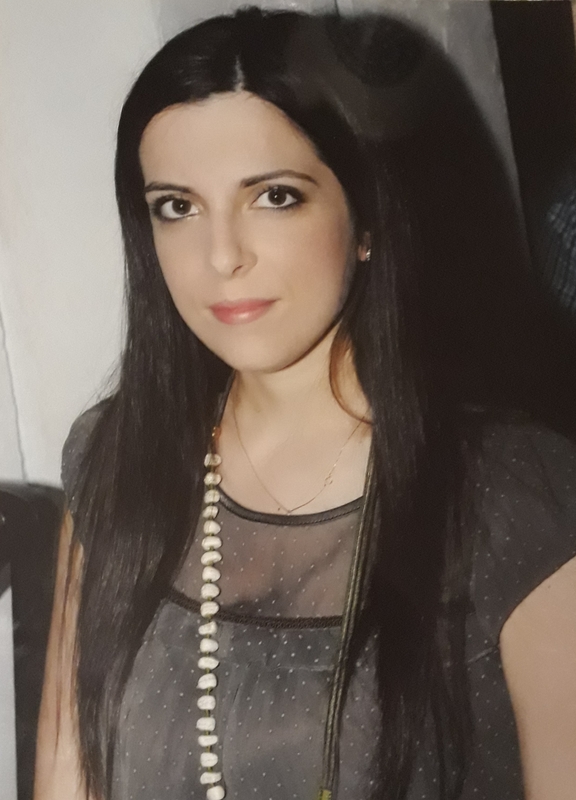 She was subspecialised in Paediatric and Adolescent Endocrinology at the Division of Endocrinology, First Department of Paediatrics, “Aghia Sofia” Children’s Hospital, Athens. She was further subspecialised in Paediatric and Adolescent Diabetes at the Diabetes Centre of “P.& A. Kyriakou” Children’s Hospital (2010-2014). She is now working as a SpR in General Paediatrics at the First Department of Paediatrics/ Diabetes Centre, “P.& A. Kyriakou “ Children’s Hospital. She has published 14 papers in peer-reviewed journals as well as 2 chapters in textbooks and 25 abstracts in conference proceedings. Finally she has been actively involved in research focusing on growth hormone deficiency, paediatric diabetes and childhood obesity. Kalliopi Kouloufakou-Gratsia is a pediatrician. She finished medical school of National Kapodistrian University of Athens (MD) and she continued with postgraduate studies at the same institution to receive the title of “Master of Science” in Clinical Pediatrics and Research (MSc). As a resident of pediatrics she worked in Aesklepion Hospital in Voula, South Attica and Aglaia Kyriakou National Children’s Hospital in central Athens. After residency she remained in Aglaia Kyriakou as a pediatrician. Currently she is a coworker of Dpt of Growth and Development and Diabetes Center of the hospital. She has laboratory and clinical research experience with allergiology, clinical immunology and obesity in children. She has published work in international journals and books. In November 2007 she received a grant for research in Infectious Disease. Evangelia Charmandari graduated from the Medical School of the University of Thessaloniki as a valedictorian of her class and completed her specialization in General Pediatrics in the UK. She was further subspecialized in Pediatric and Adolescent Endocrinology at the London Centre for Paediatric Endocrinology and Metabolism, Great Ormond Street Hospital for Children and University College Hospital in London (UK). She is a certified Pediatrician and Pediatric and Adolescent Endocrinologist by the Royal College of Pediatrics and Child Health, London, UK. She obtained a Master of Science in Clinical Pediatrics and a PhD in Pediatric and Adolescent Endocrinology, which were awarded by the University of London (UK). She subsequently undertook a Postdoctoral fellowship in Molecular Endocrinology and Cellular Biology at the National Institute of Child Health and Human Development, National Institutes of Health, Bethesda, Maryland, USA. She also worked as a Consultant in Pediatric and Adolescent Endocrinology at St. James’ University Hospital and Leeds General Infirmary, Leeds, UK. In February 2011, Dr. Charmandari joined the faculty of the Medical School of the National and Kapodistrian University of Athens as an Associate Professor, and became Full Professor of Pediatric and Adolescent Endocrinology in 2015. She carries out her clinical and research work at the Division of Endocrinology, Metabolism and Diabetes, First Department of Pediatrics, “Aghia Sophia” Hospital for Children. She is also an Affiliated Investigator of the Biomedical Research Foundation of the Academy of Athens. She has published 95 papers in refereed journals, which have received > 5100 citations (h-index=37, Source: Google Scholar, total impact factor=490), as well as 1 book, 44 chapters in textbooks and electronic journals, and 150 abstracts in conference proceedings. In 2007 she was awarded the ‘Henning Andersen Prize’ of the European Society of Paediatric Endocrinology (basic research). She has been an invited speaker in > 100 National and International Meetings. Finally, she has attracted 1,088,000.00 research funding as a main Principal Investigator (PI) and 790,000.00 Euros as co-PI. 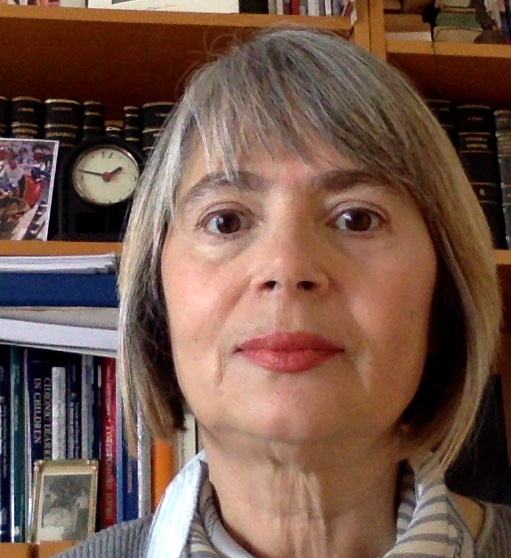 During the last 4 years, she has been the Scientific Supervisor and Coordinator of the Program entitled ‘Development of a National System for the Prevention and Management of Obesity in Childhood and Adolescence’, which is funded by the European Union and the General Secretariat of Research and Development, Greece. Penio Kassari holds a BA in Business Administration and a MA in Industrial/Organizational Psychology. She has been certified as a Systemic Analyst Project Management Professional (CSAPMP) and trained in Project Management, Agile Project Management, Business Analysis as well as in Health Care Management & Total Quality in Health Care. Her professional experience has been focused in the field of “Human Resources”, with emphasis on Recruitment, Personnel Development & Performance Appraisal, “Quality Assurance” (Certified Inspector for ISO 9001, OHSAS 18001, Internal Audit), “Business Development” and in particular Corporate Communications & Marketing, Customer Service, Contracts & Administration, and in “Healthcare Management”. During 2009-2012 she was coordinating the Program for the “Registry of Patients with Primary Immunodeficiency in Greece”, Department of Immunology & Histocompatibility, Center for Primary Immunodeficiencies – Paediatric Immunology, “Aghia Sophia” Childrens’ Hospital. Since November 2012, she is serving as a Healthcare Professional at the First Department of Pediatrics, Medical School, National and Kapodistrian University of Athens, Division of Endocrinology, Metabolism & Diabetes, “Aghia Sophia” Children’s Hospital. Main Projects: “Development of a National System for the Prevention & Management of Overweight and Obesity in Childhood and Adolescence in Greece”, “Molecular Mechanisms and Clinical Implications of Glucocorticoid Receptor Action”, “MSc in Clinical Pediatrics and Nursing−Research”, “BigO: Big Data Against Childhood Obesity”. 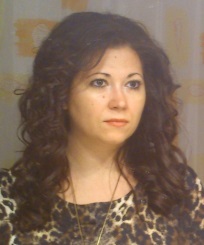 Angeliki Apostolou dietitian, MSc, PhD. is a graduate of nutrition and dietetics from Alexandrian Technological Institute (Thessaloniki). 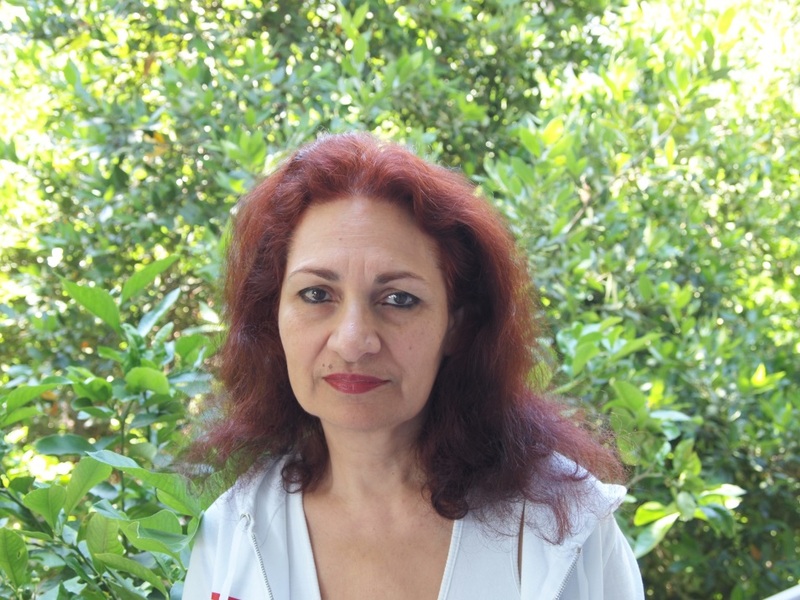 She obtained a Master of Science in Nutrition Science from the Chemistry Department (Ioannina) and was further subspecialized in Clinical Nutrition and Pediatric Renal Nutrition at Hippokration Hospital (Thessaloniki) and Aristotle University (Thessaloniki) acquiring a PhD Diploma. She has worked as an assistant in clinical nutrition lab in Alexandrian Thessaloniki (2006-2013) and as a scientific associate in Hippokration, Department of Pediatrics Chronic Kidney Disease Clinic (2009-2017) where she also carried out her research work. She has also worked as a registered dietitian (2003-2017). She is the author of 7 papers in peer review journal and one book and has been an invited speaker in more than 30 National Meetings. Editor in Chief in Pediatriki of N. Greece, the official Journal of the Pediatric Society of N. Greece. ThKL served as Council member of the Hellenic Society of Pediatric Gastroenterology Hepatology and Nutrition (President during 2008-2010), of the Pediatric society of N. Greece (President during 2012-2015). ThKL’s major research interests are: the molecular basis of energy homeostasis, medical decision making on nutrition cases, malnutrition, nutrition support. She contributed in research projects funded by national as well as European Community resources as principal investigator, coordinator and collaborator. ThKL contributed as author in research publications and in books on topics related to Pediatric Gastroenterology Hepatology and Nutrition.